Antioxidants are molecules which inhibit the oxidation of other molecules and possibly eliminate free radicals from the body. 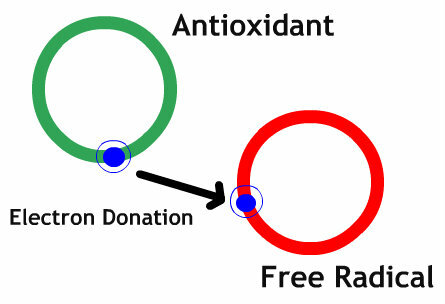 This reaction is accomplished when an antioxidant donates an electron to a free radical. What Antioxidants are in the Wild Alaska Chaga Mushroom? Wild chaga (Inonotus obliquus) contains beta-glucans, polysaccharides, polyphenols, sterols, and peptides. Other pertinent antioxidant constituents include melanin complexes and superoxide dismutase. What makes Wild Alaska Chaga the best Antioxidant chaga source on Earth? Wild chaga from Interior Alaska has been found to contain extremely high levels of antioxidants (ORAC value). This high concentration of antioxidants is unmatched when compared to other chaga samples from around the world.